Trabattoni offers a tailor-made service with a "made-to-measure" service for all collections and wide range of materials/ special finishes (wooden essences, lacquered glass, open pore, cement finish,...). Product range includes: kids and teens bedrooms (ZOE), living room furniture with TV/ Audio systems (Living), wardrobes (Stipo), walk-in closets (Atelier) and bedrooms (Night Collection). 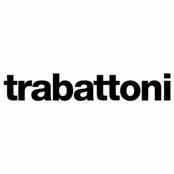 Trabattoni started as an artisan boutique in Brianza (Milan area), combining tradition and experience to latest technology innovations to offer a high quality product with modern design and respectful of nature and quality of life of client's families and kids. Informazioni sul professionista:Made-in-Italy contemporary design wooden furniture since 1917.